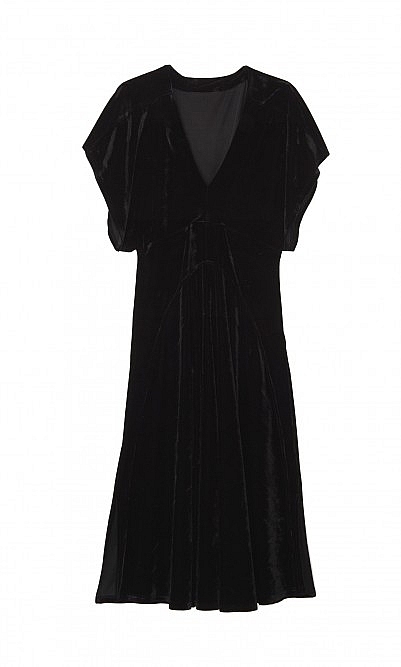 Cut from sumptuous plush black velvet with a waist-nipping silhouette which swirls out to a mid-length skirt. Short kimono sleeves and plunging V-neck. Side zip. L122cm. Model is wearing a size S (UK10). Poly mixed fibres.